Matthew Stafford might be the most polarizing athlete in Detroit sports. Many people love the gunslinger, many say he can’t win big games and want him gone. But one thing is clear: he will become an even richer man sometime soon, thanks to the Lions. Stafford is entering the final season of his contract and is looking for an extension, which is currently in the preliminary stages of negotiation. The thought is that Stafford wants to become the highest-paid quarterback in the NFL at about $25 million per year. If the Lions are smart, and I think they’re getting smarter, they’ll give it to him. Carlos Monarrez, who covers the Lions for the Detroit Free Press, recently wrote that signing Stafford to a big contract would cripple the team. I think just the opposite, that not re-signing Stafford would cripple the Lions. Yes, $25 million is a ton of money. Is Stafford the best quarterback in the NFL? No. Maybe not even top-five in some people’s minds. But because of how the market works, he can demand to be paid the highest salary in the league. Stafford has given the Lions unprecedented stability at the quarterback position, something they haven’t really had since the days of Bobby Layne. Why would you want to throw that away over a few million dollars? Should the Lions try to get him to sign for less? Of course, that’s all part of the negotiating, and the best-case scenario would be if he took less than $25 million. But don’t expect Stafford to take a hometown discount. He shouldn’t have to, and it’s not selfish of him. It’s business. Deal with it. 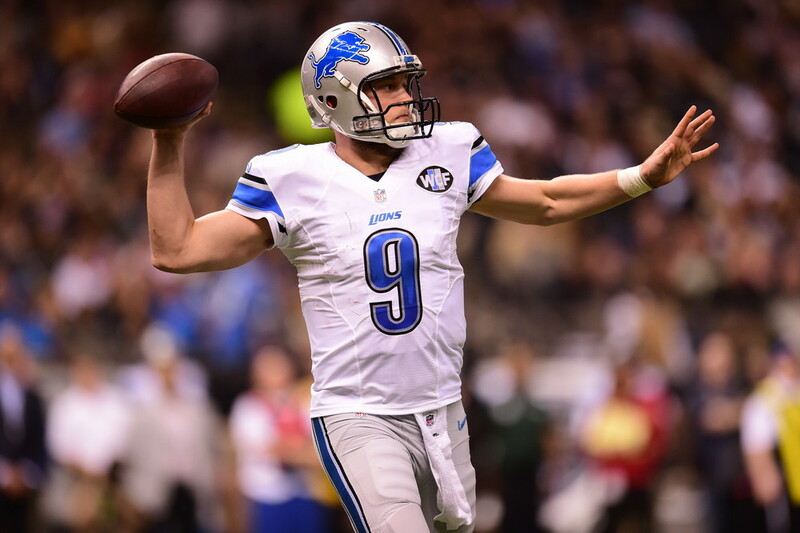 Do you remember the last Lions quarterback to start three playoff games like Stafford has? Erik Kramer in the early 90’s. How many quarterbacks have started for the Lions since? 17. Do you really want to go back to that? I didn’t think so. Look at all the bad teams in the league and they all have one thing in common: poor quarterback play. Look at the disaster that is the Cleveland Browns, and you’ll be counting your lucky stars that you have Stafford as your quarterback. The Houston Texans were so desperate to find a quarterback that they grossly overpaid an unproven Brock Osweiler, only to beg the Browns to take him away a year later. The Chicago Bears gave Mike Glennon, who had attempted 11 passes in the last two seasons, a three-year, $45 million contract because they were so desperate to get rid of Jay Cutler. Do you trust the Lions to find a diamond in the rough at quarterback? That worked really well with Jon Kitna, Jeff Garcia, Shaun Hill, Dan Orlovsky and Daunte Culpepper, didn’t it? The Lions were literally the worst team in NFL history with three of those guys under center. Do you really want to go back to that just because Stafford can’t beat Green Bay, or hasn’t won a playoff game yet? I don’t. Stafford isn’t perfect. His decision-making can be questionable at times. Injuries were a concern at the beginning of his career. But he is still the best quarterback in franchise history, which doesn’t say much. Don’t overthink this. Just re-sign Stafford and move on.